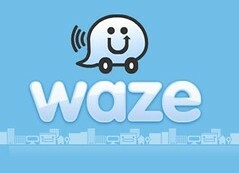 One of my new favorite iOS apps is Waze – Social GPS navigation, traffic & road reports (iTunes link). SocialTimes calls it Wikipedia for Drivers and You can also find out more at their website. What I love about this app is that it uses data from other users to help improve driving directions and avoid traffic jams. I commend it to you, as the more people that use it the better it gets. What about this idea for spiritual growth? Is there a way to connect with people with others on the journey of knowing, loving and serving God to know what is actually helpful in growing in faith? As more people take part, it would be able to better help others connect with what might be helpful in their journey. This can be done one on one through work with a spiritual director, but even the value of that guidance is limited by the experience and connection of that individual. Does something like this exist? Would you find something like this useful?